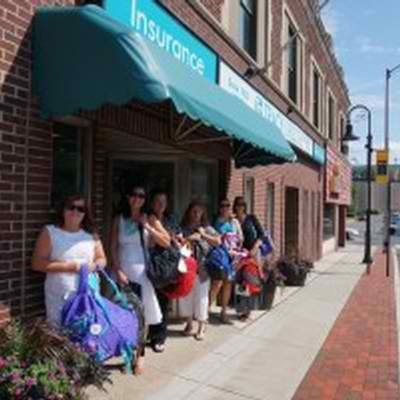 On August 6, 2014, a team of Tracy Driscoll employees walked up to the United Way at 200 Main Street to deliver their donations to the UW Adopt-A-Child program. Â This program enables children to receive backpacks filled with back to school items such as clothes and school supplies, allowing every child to start off their school year with a great first day. Â This year, both Tracy Driscoll and its’ employees contributed to the skyrocketing success of the Adopt-A-Child program which has exceeded its goals for 2014. Â Â In addition to individual Tracy Driscoll employees generously donating their time and money to families in need, the company itself is excited to be adopting and providing for a family of triplet boys! Our team is looking forward to continuing our history with the annual Adopt-A-Child program and honoring their decision to help all children start the school year with a smile on their face.